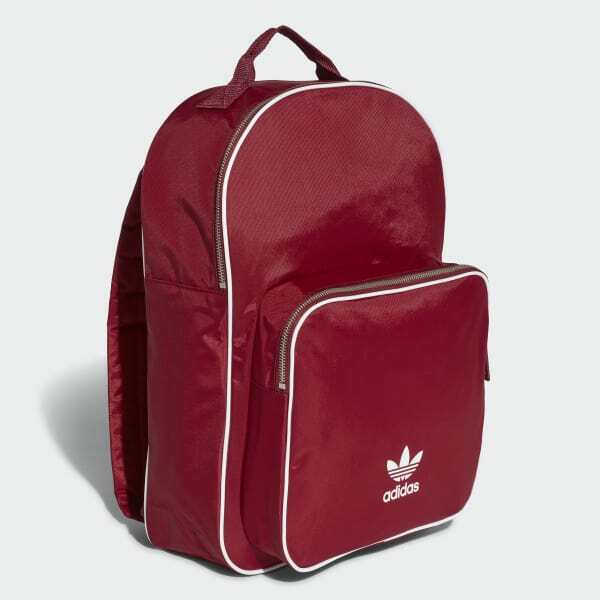 An all-purpose backpack inspired by adidas heritage. A clean, classic expression of adidas heritage with all the functionality you need. Made of lightweight, woven polyester with contrast piping, this backpack has a roomy main compartment for books and larger items, plus a pocket in front for smaller essentials. An inside divider keeps everything organised.